The Visual Linguist: New article: Framing "I can't draw"
New article: Framing "I can't draw"
I'm happy to say that I have a new article (pdf) published in the journal Culture & Psychology! This one continues with my theories about how people learn how to draw. In my previous article (pdf), I argued that drawings were structured like languages, and that learning how to draw involves learning a "visual vocabulary" from an external system. I also argued that the reason people feel that they "can't draw" is because they do not sufficiently have exposure and practice with these visual languages, and thus don't learn how to draw with "fluency" before the end of a critical learning period. This new paper pushes this idea even further, and proposes that people's ability to draw is actually hurt by the way in which our culture thinks about drawings and graphic expression. As I've argued for a long time on this blog (with the tag "Art vs. Language") there is a perspective held about "Art" that pushes people towards drawing in unique and individualistic ways, admonishing imitation as a means of learning. This paper argues that the cultural set of assumptions including these ideas actually inhibits people's ability to learn how to draw. Cohn, Neil. 2014. Framing “I can’t draw”: The influence of cultural frames on the development of drawing. 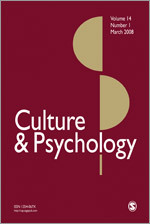 Culture & Psychology. 20(1): 102-117. Classes, speaking, and books... oh my!